Finca Sestelrica and all of its thoughtful touches invites you to relax and leave all of your concerns at home. Its services and shares spaces are designed to make you feel right at home whilst offering all the facilities and exclusivity of top-class accommodation. Its design, brimming with positive energy in a rural environment, welcomes guests to unwind. We have a multi-lingual reception available to help you with whatever you may need to make your stay perfect. Furthermore, we provide a concierge service, holding tickets for places of interest, shows, restaurant reservations, etc. Bathe in our infinity pool whilst nature’s soundtrack and panoramic views free your mind. Surrounded by sun loungers and a lounge area, it will tempt you with a refreshing break after a long summer’s day or to simply relax and take in the marvellous view of the surroundings. One of the most relaxing times of the day is when we sit down with a cup of coffee and simply enjoy its incredible aroma. Enjoy a delicious cup of coffee when and how you like it, thanks to our coffee corner available around the clock. Enjoy a relaxing evening on our chillout terrace with views, whilst the sun shines warm on your skin or sit and take in the allure of the setting sun’s display with an exquisite glass of wine in your hand. Lose yourself in the property’s 800,000 m2. Take a long stroll through its fields of cereals, figs, pine trees, and holm oaks. Our land continues to be worked agriculturally and we invite all of our clients to harvest at will, if they so desire, the fruits and vegetables grown in our organic allotment. 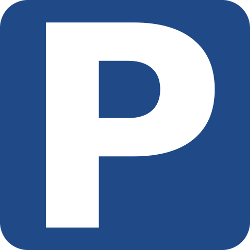 We have a free parking on the grounds for all of our guests. At Finca Sestelrica we adapt to the needs of our guests, so we have a room that has been fully adapted to guests with disabilities. 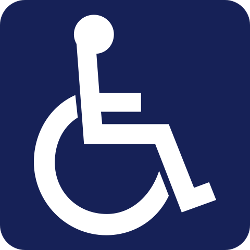 We remind you that we are located in field and the terrain can present slopes and areas of difficult access for wheelchairs. Our breakfasts are made with local products of he highest quality with the fruit of our own allotment and Mallorcan specialities. We personalise each breakfast based on the fresh products of the day and the number of guests, so don’t hesitate to ask us if you want something special that you miss on your plate. Enjoy a full breakfast and everything you need to start the day with energy. In addition, we wish that our guests live the experience of being part of our family. For this reason, every week we organize a special dinner to spend time together and get acquainted. Our cooker Maria will spoil you with delicious dishes of traditional cuisine and we will share together experiences, feeling part of this beautiful corner as it’s our finca.